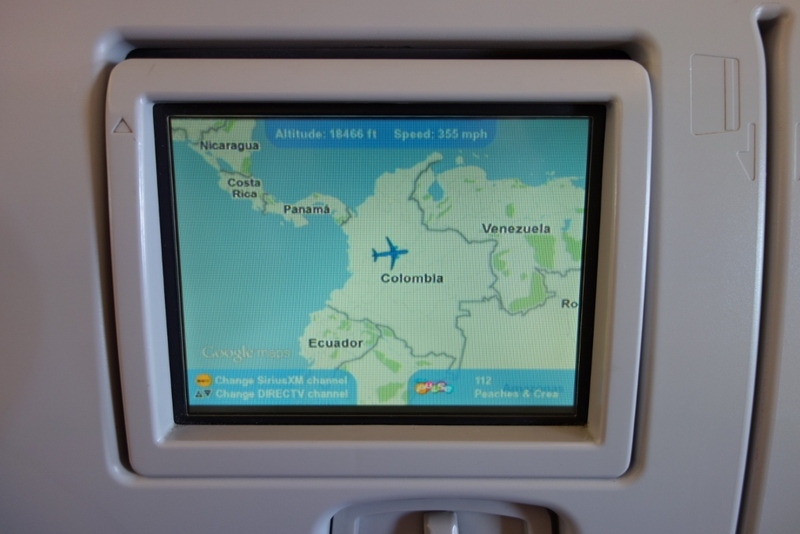 So you can imagine my relief when I saw this on my airplane seat monitor: We’re finally here! 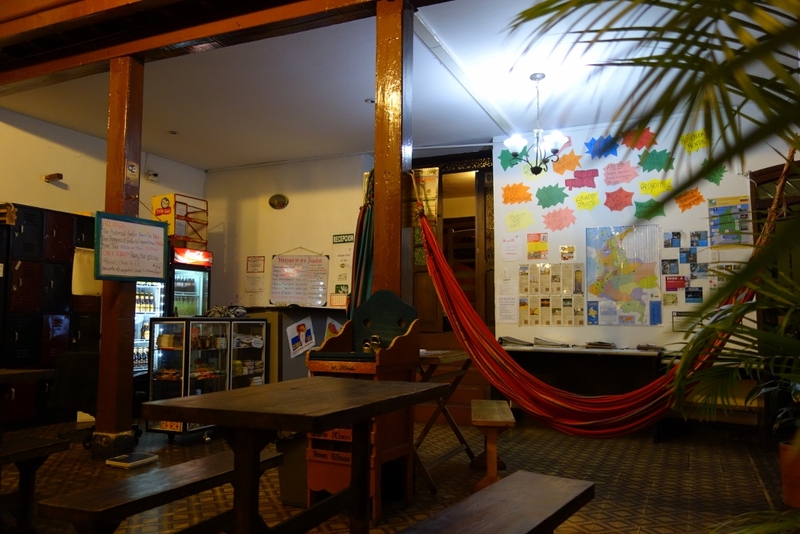 We arrived at our hostel to find a charming little courtyard, replete with colourful hammocks, palm trees, and a fridge stocked full of cold beer. Unfortunately, our actual room was rather bleak and depressing-looking, so I tried my hand at making myself comfortable in the hammock. Hammocks – I have never been able to figure them out. People always look so comfortable lounging in hammocks. So anytime there’s a hammock, I climb in and try to find a comfortable spot. I’ve never been successful in my attempts to comfortably lounge in a hammock…this time was no different (as you can tell from my awkward pose..and awkward smile). After our brief, little struggle, the hammock and I called a truce and I trudged back up to our bleak little room. Oh hammock, we will meet again another day. 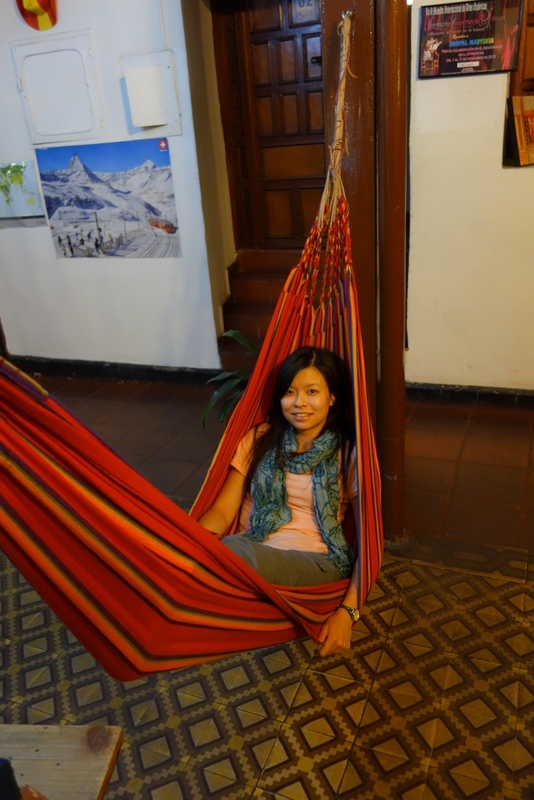 This entry was posted in Colombia, South America and tagged Bogota, Colombia, En Route, Hammock, Hostel, South America by Jenn. Bookmark the permalink. Yes I can relate to the gross grimy feeling of long travel but happy to hear that you’ve arrived safely…let the fun begin! Glad to hear you guys arrived to your 1st destination safely! =) Hope you can start relaxing and really enjoy your well deserved time off after all the madness of getting ready for the trip =) Love you guys & Miss you already! I’m sure Jason found a way to make that hammock comfy. You’re right, Adrienne. He’s got a natural gift, that boy. Hi mom and dad! Thanks for the comment 🙂 And yes, it was a lot of work preparing but it had to be done! love u both! So is it ‘travels of yum’ because you guys are going to be eating awesome delicious food? Or is yum the plural of Yim? Yes, that was corny; deal with it. Weezer says ‘Hello, miss you guys!’…..or more specifically, ‘Whimper, whimper whimper!’.